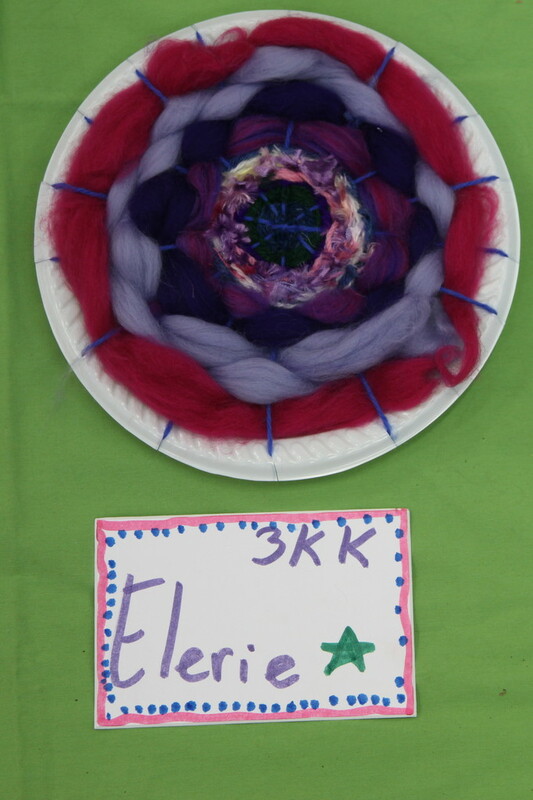 Our Grade 3 and 4 students based a circular weaving work on Mandalas ( the word comes from the Sanskrit word for circle). 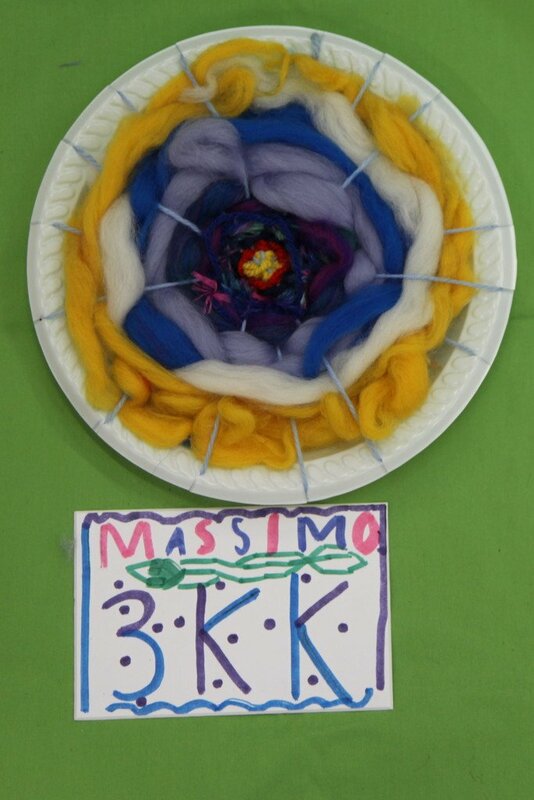 The students made a circular loom by cutting slits at regular intervals around a plastic or paper picnic plate and winding wool around it to create the “warp” threads. 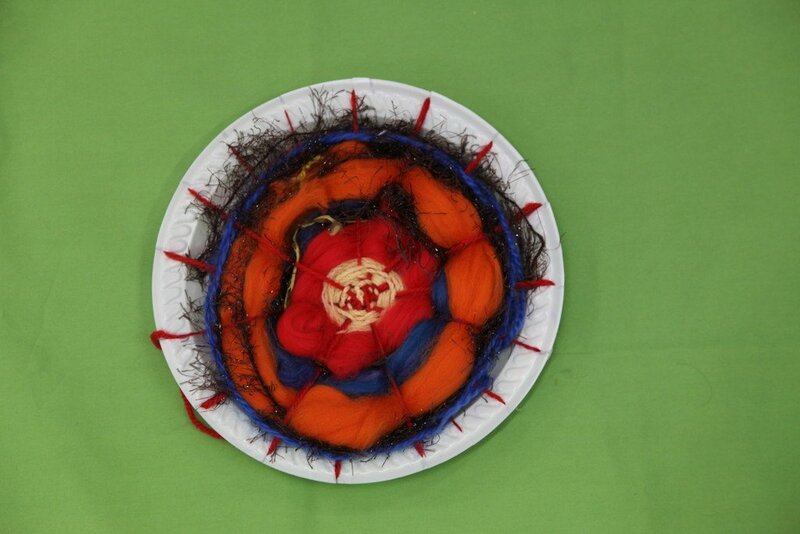 The wool ends were taped onto the back of the plate or tied. 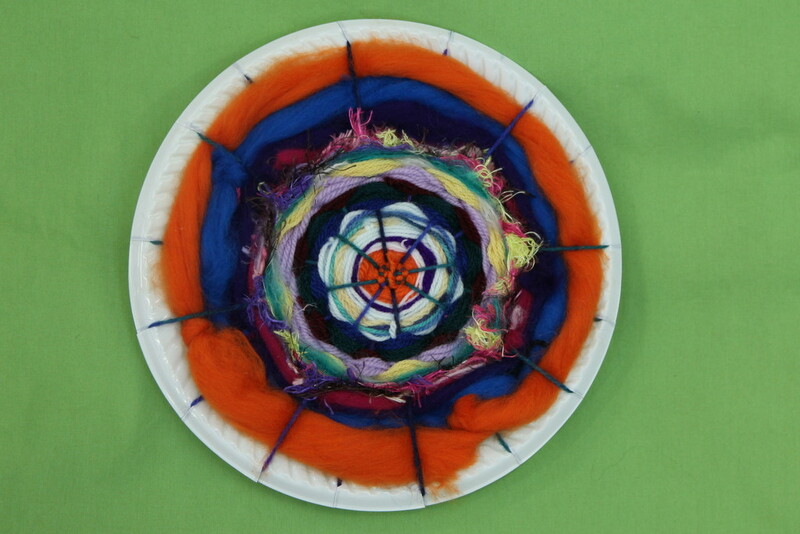 They then used a variety of different “weft” threads to weave in a circular motion until the space was filled. They could still use some additional decoration. It will be interesting to see how creative our students can be in this today’s lesson. Are there other circular looms which could be used? I once saw an old bike wheel used as a loom. Or what about a hula hoop?